1.1 The Supplier warrants to the customer, subject to the terms and conditions set out in this Limited Warranty, that the products are free from any defect in the materials selected and manufacturing process employed in the production of the products. 1.2.2 This Limited Warranty only applies to warranty claims made by the final customer upon presentation of the original sales receipt, which must show the date on which said customer purchased the product (the “Initial Purchase Date”). Whereby the original retail customer is unable provide proof of the Initial purchase date, the warranty period shall commence from the manufacturing date of the product. 1.4 If the Supplier replaces a product in accordance with paragraph 3, the replaced product shall continue to be warranted for the residual term of the warranty period. 2.1 The Supplier reserve its right to investigate any claim for damage or defects in a product by inspecting and testing the relevant production. When the customer has a valid warranty claim, the supplier may choose either to repair or to replace the production or to credit the customer’s account. 2.2 The warranty is void if there are any unauthorized repairs, changes or modifications to any part of the board that has been made by anyone other than the supplier or it’s authorized agent. 2.3 If the Supplier considers a product a “total loss” because the cost of repair or replacement would be unreasonable or dis-proportionate, the supplier shall credit the customer’s account with a new product with the same model. Once the supplier has credited to the customer the new replacement product then ownership of the relevant product shall revert back to the supplier. If the product is in the possession of the customer, the supplier may either demand return of the defective product at its cost or require destruction of the product with proof (serial nr.). 3.1 This Limited Warranty does not apply to second hand products, which are sold conditional on the customer’s acceptance of all defects apparent at the time of sale. 3.2 Any claim attributable to any damage or defect in a production already sold by the dealer to its’ customer shall be, at the supplier’s sole discretion, excluded from the Limited Warranty if the product has not been returned to the dealer by its’ customer. 3.3 This Limited Warranty shall not apply to any damage or defective product caused by, or comprising, any of the following. 3.3.1 Collision, impact with any materials or objects, abuse, misuse, negligence or accidental damage, including use on jump ramps or sliders. 3.3.2 Repairs, alteration and/or modifications to the production not carried out by the supplier or one of its authorized agents. 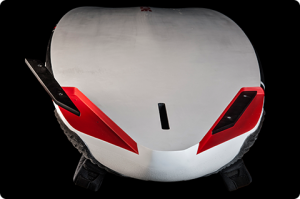 3.3.3 Transportation, including without limitation, loading, unloading, dropping and out-of-water handling. 3.3.6 Marginal variations in color or design of a product which do not affect the suitability of the product for its’ intended use. 3.3.7 Non-recreation use including competitions, professional riders, commercial rental centers, or teaching operations. 3.3.8 Inappropriate or improper storage or handling, including storage of the Product in closed, damp condition (for example a wet board bag). 3.3.9 Exposure to temperatures over 50 degrees and under 0 degrees celsius, as well as any damage caused by excessive sunlight including, but not limited to, heat blisters in the skin, delamination caused by excessive heat exposure or any other heat or sun related damage. The warranty decision related to any sun damage claims is at the sole discretion of the supplier. 3.3.10 Forces of nature, including, without limitation, waves, shore breaks, earthquakes or fires. 3.3.11 Continued use of the product after the discovery of a defect. 3.3.12 Use of a larger fin than specified or suggested. 3.3.13 Damage caused by storage or transport of a product in risky environments including, but not limited to, wet board bags, bare hull exposure on roof racks in the sun and transport in unusually cold weather outside. 3.3.14 Improper mounting or adjustment of any accessories, foot straps, bindings, fins and hydrofoils. 3.3.15 Normal wear and tear. 3.3.16 Anything except manufacturing defects in materials and workmanship. 3.4 This Limited Warranty only covers the products sold by the supplier. The supplier is not liable for any damage or defect in fins, kites, masts, booms, sails, harnesses, bindings, accessories and spare parts or other items not manufactured by the supplier, also not for any damage or defects caused by additional products it has not manufactured that may be sold with the supplier’s product. Furthermore the warranty does not cover damage or defects caused to the product as a result of any misuse, abuse or negligence in connections with any fins, kites, masts, booms, sails, harnesses, bindings, accessories and spare parts of the like. 3.5 The liability of the supplier for any special, consequential or economic loss or damage to property or any personal injury or death is expressly excluded unless caused by the supplier’s fraud, gross negligence or willful default. In the case of fraud, gross negligence or willful default, the liability of the supplier for special, consequential or economic loss or damage to property shall be limited to the direct damage and loss. 3.6 There are no other warranties in respect of the products. All implied warranties, including without limitation, the implied warranties of merchantability means a particular purpose shall be limited to the duration of the warranty period. No warranties, whether express or implied, will apply after the expiry of the warranty period. 3.7 Some jurisdictions do not allow a limitation on the duration of an implied warranty and/or the exclusion or limitation of incidental or consequential damage. The supplier’s obligations under this Limited Warranty shall be limited, to the greatest extend allowed by law. This limited warranty gives the customer specific legal rights; the customer may also have other rights, which vary from one jurisdiction to another. 4.1.2 A valid claim by the customer to the supplier could require that the respective damage or defect in the product existed already at the time when the product was sold by the supplier to the customer. 4.2 The customer must inspect each delivery of products immediately upon receipt to check for any apparent defects or damage. Defects or damage that are apparent from an inspection must be notified to the supplier in writing and any related claim must be made within 7 days of receipt of the delivery. 4.3 All other defects or damage must be notified to the supplier in writing in accordance with paragraph 2 of this Limited Warranty and any related claim must be made as soon as possible after discovery of the defect and prior to the expiry of the warranty period. 4.4 The customer must complete and send to the dealer or distributor in your purchase country, via e-mail, the warranty claim form made available from the supplier to the customer (the “Warranty Claim Form”) within 1 month from the date on which the defect or damage was discovered. 4.5.3 A clear description of the problem or defect, along with clear photos of the problem or defect. 4.6 All claims must be made in writing through the supplier network used to purchase your product meaning the original retail customer must deliver the claim to the distributor or dealer themselves. 4.7 The presumption of damage or defects shall not constitute sufficient ground for making a claim against the supplier, but shall extend the obligation of the customer to examine the delivered goods. 4.8 The supplier reserves the right to change the requirements for making a claim under this Limited Warranty from time to time. Understanding how the warranty claim system works and what information is needed to successfully process a claim will help us streamline the procedure and reply within two or three working days. Missing information could cause delays or for the claim to be rejected altogether.